A weary Gopal with urgently needed supplies, en route to Darkha. 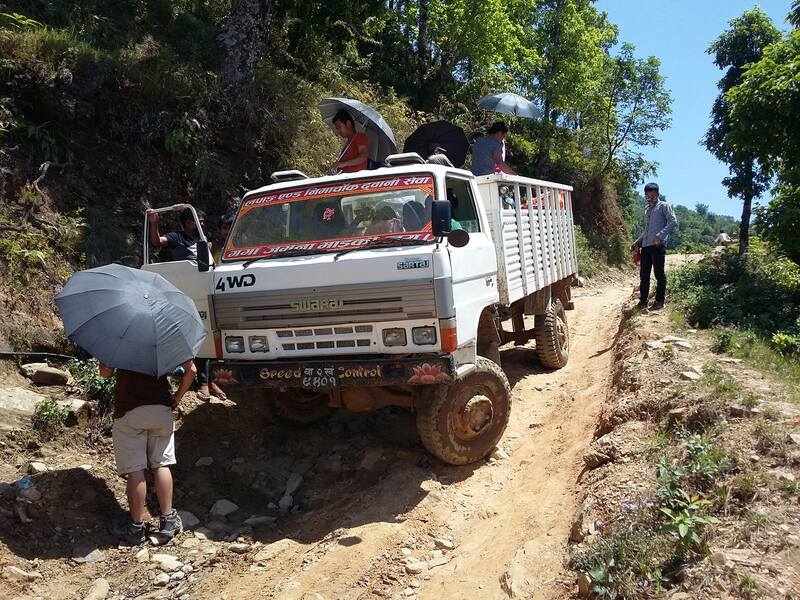 I just spoke with Gopal Tamang, our projects coordinator in Nepal. 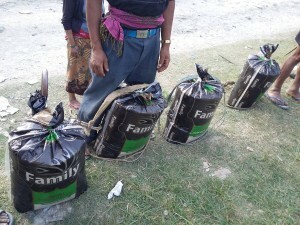 He is exhausted. 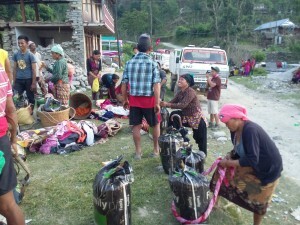 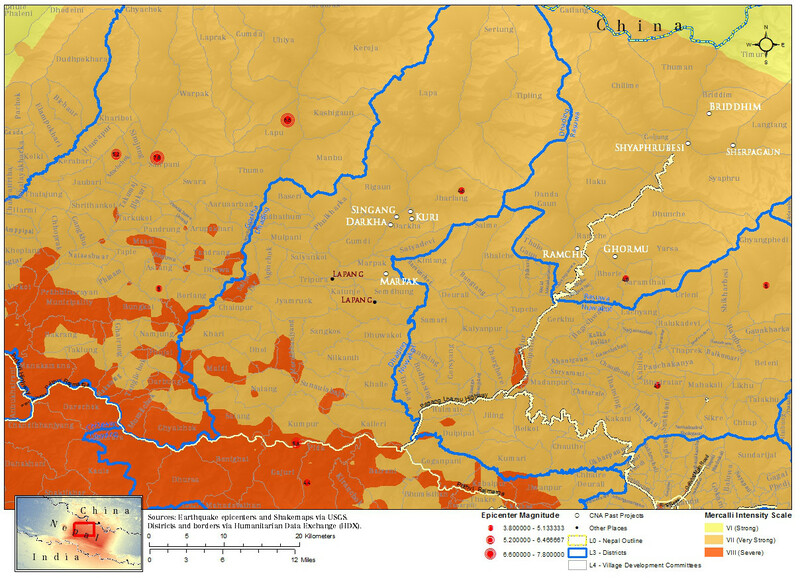 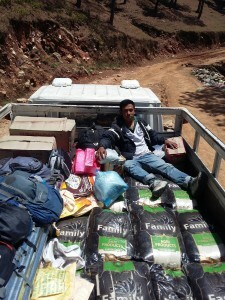 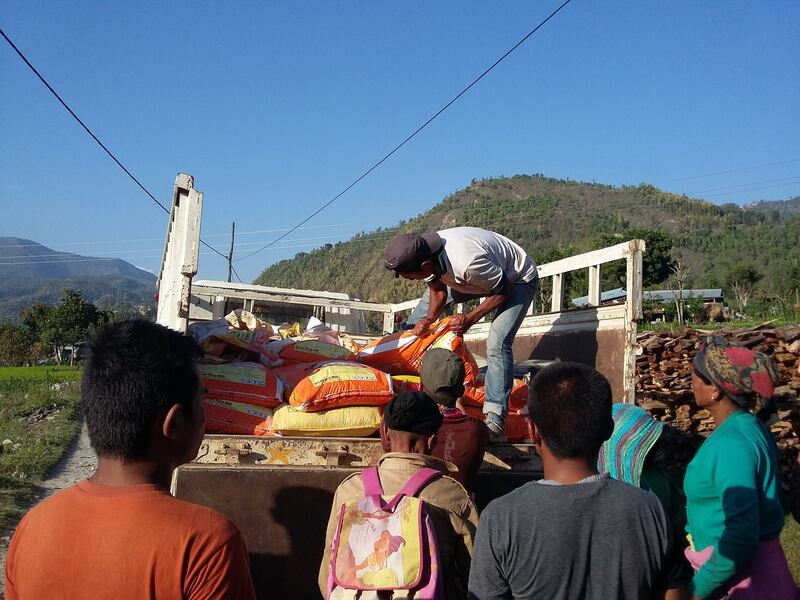 Gopal purchased rice and rented a truck, traveling as far as he could by road to Lapang. 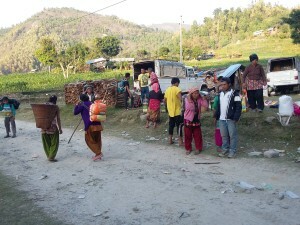 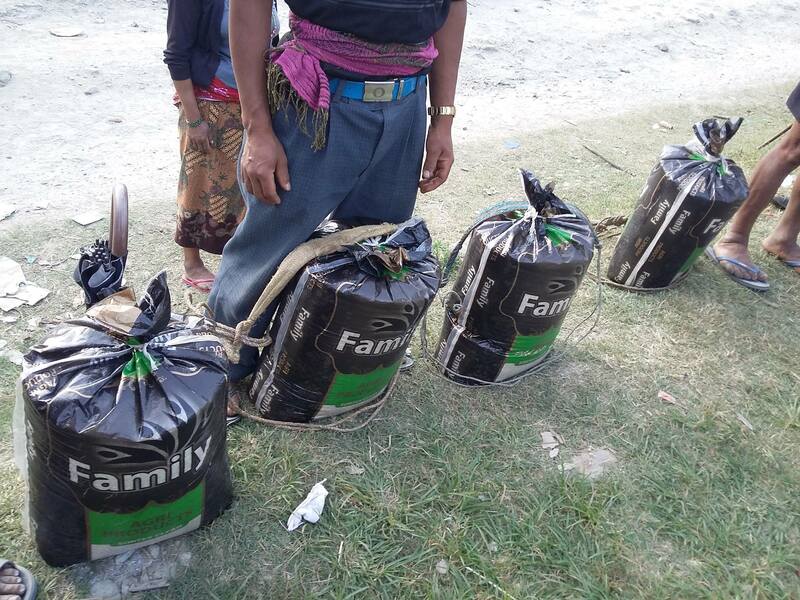 People from Darkha walked down 3.5 hours and are carrying rice back up. 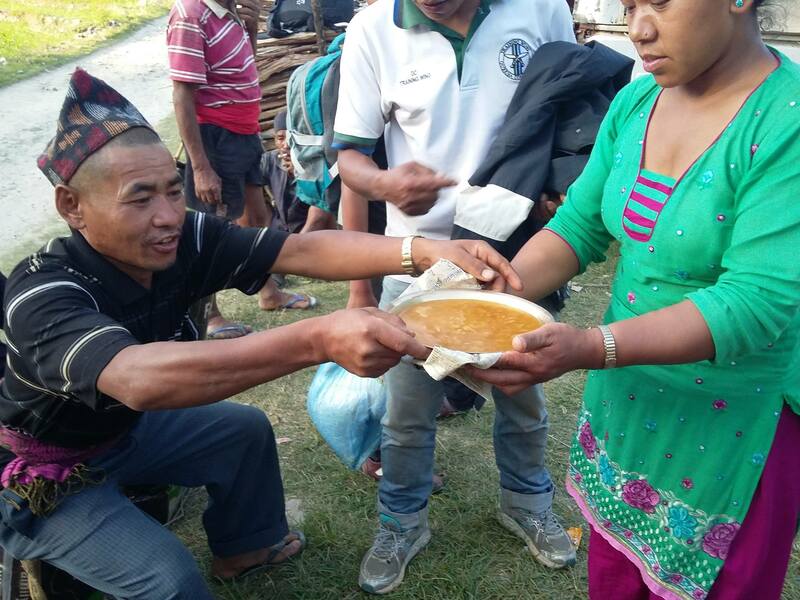 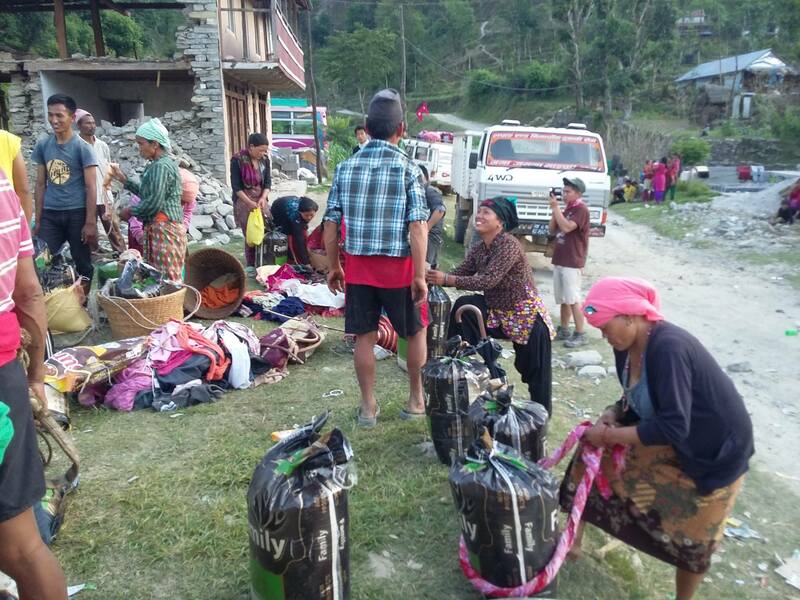 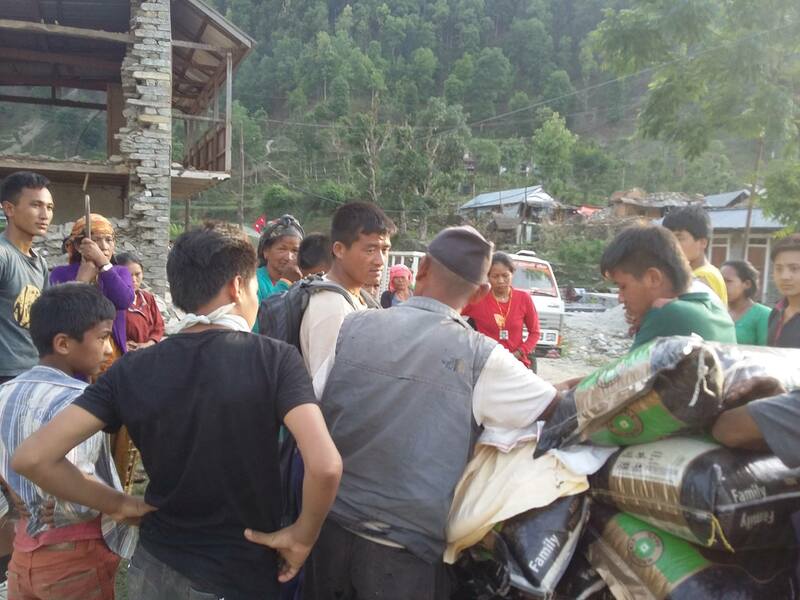 Gopal reports the people in Darkha have been very hungry and are rationing food by eating thin rice porridge. 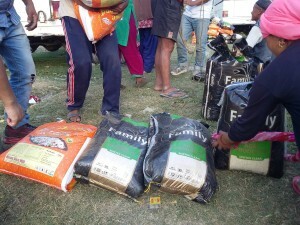 We’ll have more updates soon. In the meantime, learn how you can help.